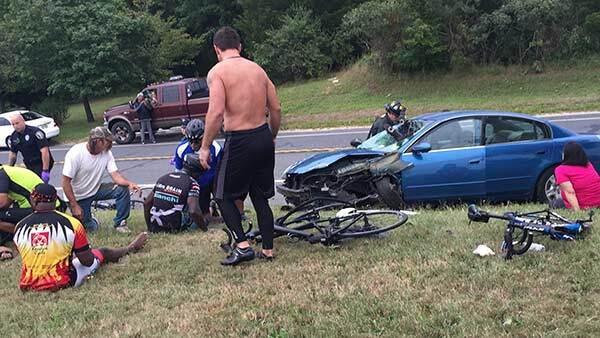 Several bicyclists injured in crash in Atlantic Co.
BUENA, N.J. (WPVI) -- Several bicyclists were injured after a car crashed into them in Buena Township, New Jersey. The crash occurred around 9 a.m. Saturday along route 54 near Plymouth Street. Police say six bikers were hit after a driver lost control, and slammed into the group. The impact of the crash sent one of the victims into the windshield of the striking car. The driver did remain at the scene. No word on the condition of the bikers.